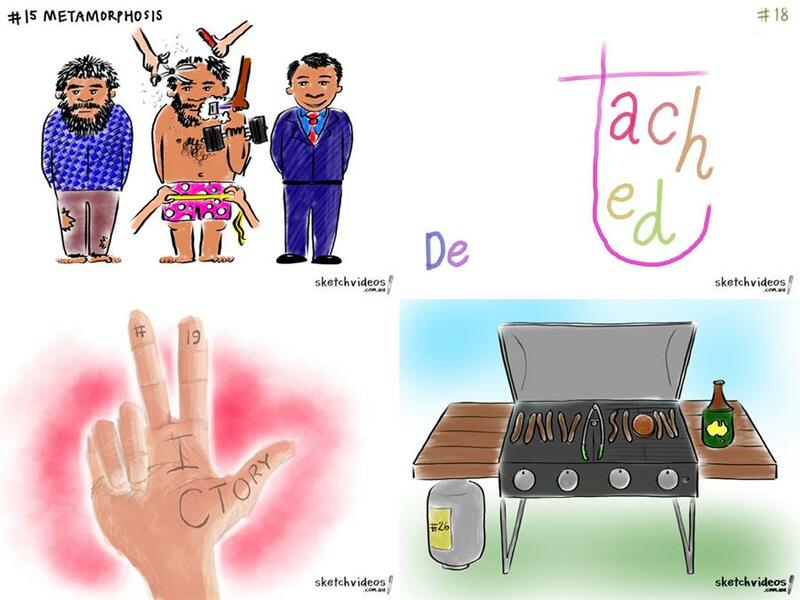 If you follow Sketch Videos on Twitter or Facebook you may have noticed that we've been doodling ... daily! 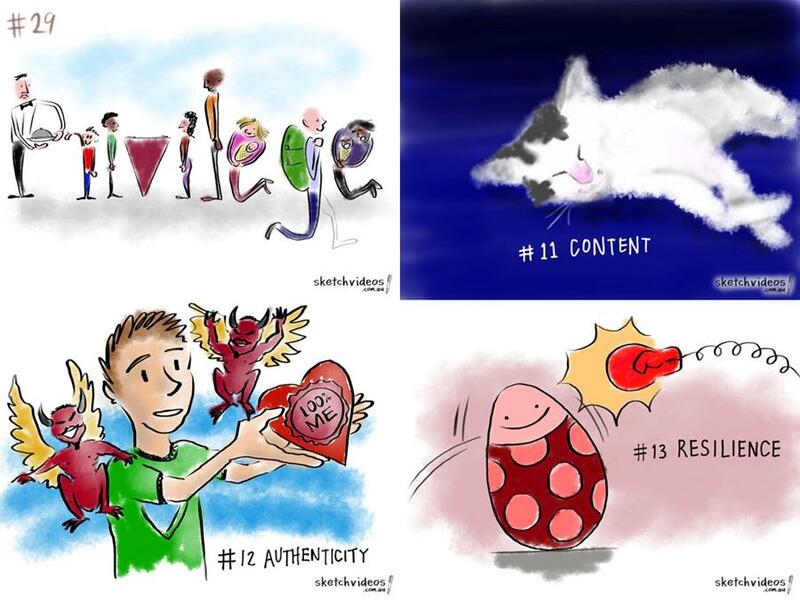 Creating "a doodle a day" was a New Year's resolution that I decided upon, on the spur of the moment, on January 1st. Sketch Videos has been growing so much as a company lately that I've been spending more and more time on sales, managing projects, and running the business, and less time actually illustrating videos. Luckily for me (and you) I have an amazing team of illustrators who do a stellar job of that for me, but it's nice to still have a regular drawing problem to solve, so I keep feeling challenged creatively. I'm still figuring out exactly what I want to do with these doodles and where I want to take them. It's sometimes difficult to come up with a word to visualise, so suggestions are very welcome! I'm proud of the fact that I've managed a doodle a day every day so far (my aim is to have created 365 by the end of the year). If you scroll through the archives you'll see that I've covered all sorts of ground, taking inspiration from large events like Lleyton Hewitt's opening round win in the Australian Open, or the Australia Day celebrations, through to the personal and mundane, like my cat sleeping on the couch! I've explored type empathy, emotions, abstract concepts and more. Who knows—maybe there could be enough to create a book at the end of it all? As an added bonus, I also publish an "instant replay" of each doodle, so you can watch my thought processes as the doodle comes together (one of the benefits of using a tablet computer to create the illustrations). This sometimes includes random sketches before hitting upon an idea. There are a few surprises if you watch carefully! 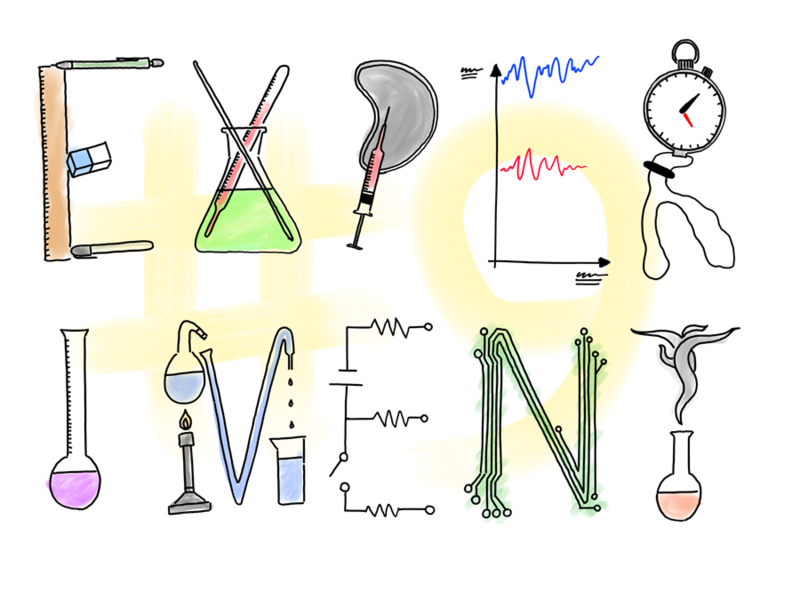 If you'd like to keep up with the daily doodle, be sure to follow us on Twitter or Facebook. 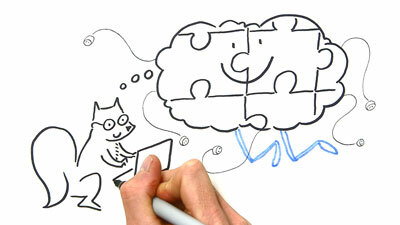 And let us know if it inspires you to create your own doodles! 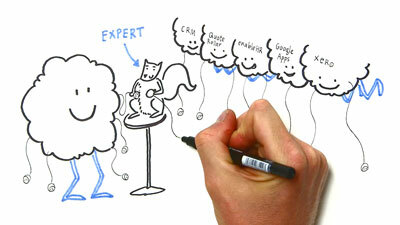 How does Squirrel Business Hub help you? I've known the team from Squirrel Business Hub for a while now and seen first hand the great work that they do in implementing systems to help businesses run more efficiently, so I was delighted when they approached us to help explain their offering. Plus, I got to draw pictures of cute squirrels and fluffy cloud characters. I love when helping a client communicate such an important message is actually fun to do. 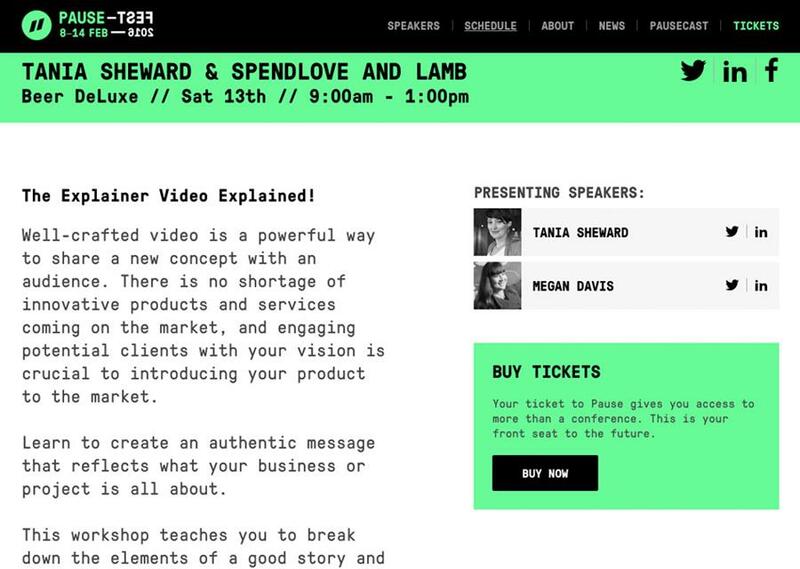 My pal Megan Davis of Spendlove and Lamb will be at Pausefest this weekend, dishing up the recipe for the secret sauce of an amazing explainer video. A well-executed explainer video is crucial to crowd funding campaigns as well as spreading the word about your unique product or service on social media. Learn how to tap into your story in this hands on workshop to create a video that audiences will want to eat up. For tickets and more info visit the Pausefest site. I'll leave you with some pictures from one of the workshops for which I was engaged as a graphic recorder—rolling out the NDIS. Important and interesting work! Have a great weekend, and until next time ... stay sketchy!